Happy Friday everyone! I’ve a fun little craft for you today that will add a touch of spring to your home. I made these pretty awesome DIY Moss Balls yesterday in about 30 minutes. They are now happily living in my dining room and add a much needed touch of greenery. Literally right as I was about to start, I got an email in my inbox with CraftberryBush’s latest post. Guess what it was? DIY Moss Balls. So much for my great idea :-) Her’s are made differently, using foam balls, so check that tutorial out too. 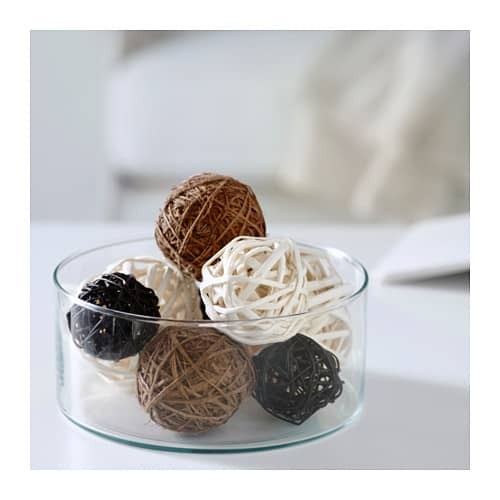 You know those Rattan Decorative Balls from Ikea that everyone has? Well I had them too. And was frankly sick of them. I knew they would make a great base for these Moss Balls because they already have a natural color that wouldn’t need to be camouflaged. AND because I already owned them, this little DIY is a cheap & cheerful. There’s nothing worse than DIYing something that you can buy premade for much cheaper, right? 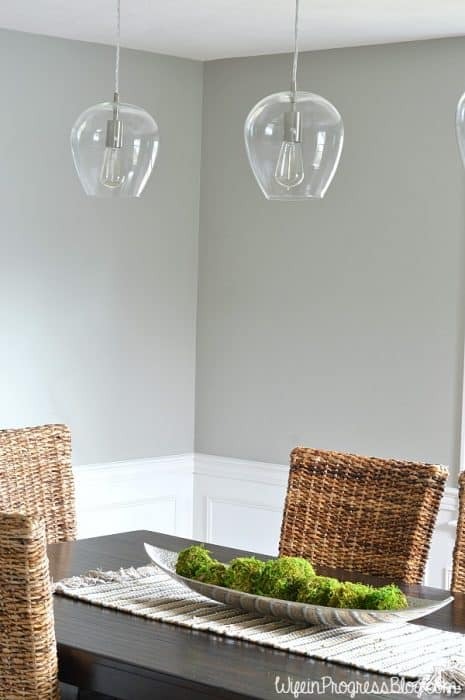 In the end, my DIY Moss Balls cost me a whopping $7.99 for 8 (and I still have moss left!). The Moss Balls at Michaels cost that much A PIECE. And some in other places are triple that price. How do you think the dining room is shaping up? There’s still some work to do but I’m loving it so far! Moving along, these Moss Balls are super easy to make. 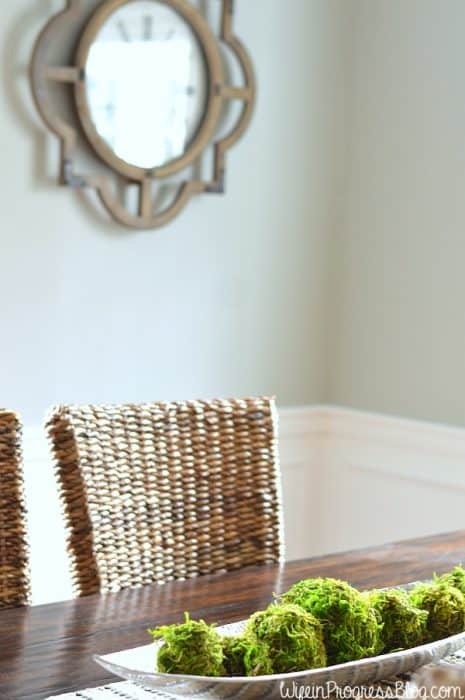 Gather your materials: Dried moss, Rattan balls, Mod Podge & a paintbrush. Brush the ball with a thin layer of Mod Podge. Then take the moss and kind of stretch it over the ball. You want to almost compress it on, almost like packing a snowball. Keep moving the ball round and round and compressing with your hands. Add more glue and more moss where necessary. Keep doing this until you’re happy with the shape of your moss ball. With a large bag of moss ($10 at Michaels and I used a 40% off coupon) I was able to make 8 of these Moss Balls and still have a TON of moss left over. One caveat – Moss is EXTREMELY messy! I recommend doing this outside if you possibly can. Not on your kitchen table like I did. Lesson learned. 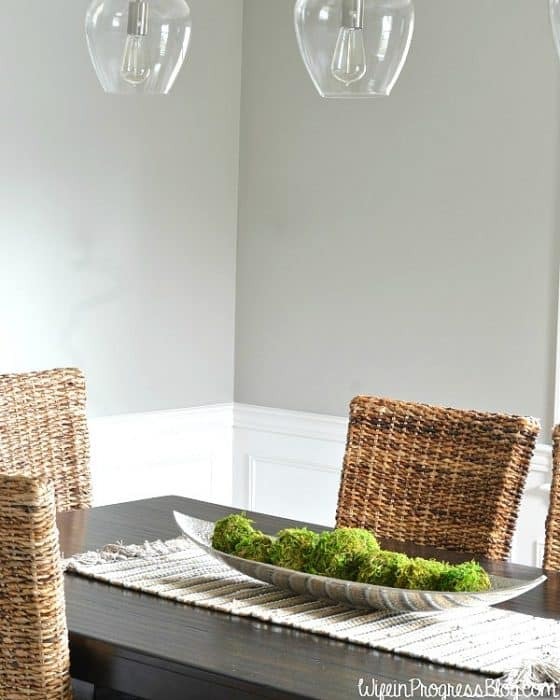 Your rattan chairs look good in your new dining room. Amazing how you homemade these moss balls with the balls you had just by buying glue and a bag of moss. This made me look forward to Easter and spring today. Roll on spring :-) Have a great weekend, Sue!